We specialize in personal training because we believe that this relationship is vital in helping people change their lives from the inside out. With a personal trainer, you have someone dedicated solely to seeing you succeed. They’re there to push you when you need to be pushed, hold you accountable and be a source of strength and encouragement for you during tough times. With any life changes comes resistance. Committing to a relationship with a personal trainer doesn’t guarantee you’ll succeed, but it sure makes it hard not to. What does guarantee your success? Getting started, showing up, doing the work and building a personal connection with a personal trainer who sees you as your best self, even before you do. Finding the right personal trainer Vancouver has at Kalev Fitness is a fun process. We’ll sit down with you before you begin a training program to learn about who you are, find out what you’re interested in and what you most want out of your experience with us. From there, we’ll match you up with the one, or a small group of trainers who are the best fit for you. Variety is essential to reaching your goals, so having the right team of specialists is important. We offer a wide array of training options for you to chose from: one on one training, group personal training, partner training, kickboxing, martial arts, yoga, prenatal fitness, high intensity training and much more. Our Personal Training Vancouver program is about getting you what you want. For that reason we have trainers who specialize in various disciplines. 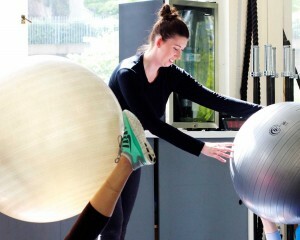 We have the most diverse and best selection for a personal trainer Vancouver has available. Meet our Personal Trainer Vancouver Team here. Keep in mind that if you have a specific request for something not on our menu, we may still be able to help you. Just contact us to inquire! If you are looking for personal training in downtown Vancouver, and you want to learn from no-nonsense, down-to-earth trainers who walk the talk, come check us out at one of our two locations. Our main facility is in the Sun Tower located in Gastown on West Pender at Beatty Street. Here we offer personal training, small group training, gym access, nutrition coaching, and much more. Our Yaletown personal training facility is located off Smyth street near Cambie and Beatty, and offers exclusive one on one Yaletown personal training, or small group personal training.